Francis first planted Pinot Noir and began 30 years of clonal trials to better understand some of the hundreds of clonal variations of the variety. In 1973, he built a small, functional winery and began his quest to make Burgndian-styled wines. 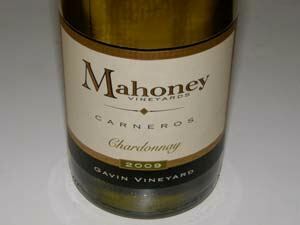 His initial winery was Carneros Creek which he no longer owns. 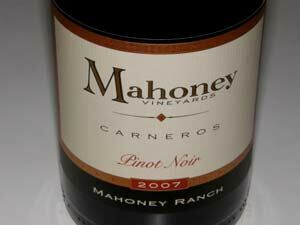 Francis Mahoney appointed Ken Foster, veteran Pinot Noir winemaker, to oversee production at Mahoney Vineyards in June, 2002. The winemaker/production manager from David Bruce winery in California’s Santa Cruz Mountains, Foster had been making wine there for 15 years, helping change the focus of the winery from Chardonnay to Pinot Noir, Petite Sirah and Zinfandel. Ken focused on small-lot production, emphasizing gentle handling and separation of small wine lots for potential vineyard designate as well as appellation-labeled wines. 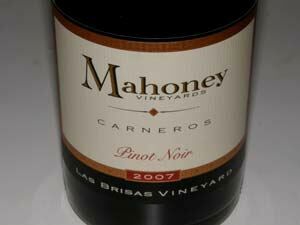 Mahoney Vineyards releases four Pinot Noirs: a Carneros appellation blend, Las Brisas Vineyard, Mahoney Ranch Vineyard and Haire Ranch Vineyard. The wines are available on the website and at the Oxbow Tasting Room which is open daily 11:00-7:00 at 708 1st St in Napa (www.tasteoxbow.com).